We’re glad you stopped by! Our practice is unique and we hope you feel as comfortable and as part of the family on our website as our patients do in our practice. We have worked hard to create a comfortable environment in which we have incorporated the wonderful home-town feel of Missoula with the most advanced dental technology and training available. We also enjoy working with several different charitable organizations in and around Missoula, Frenchtown and Lolo through out the year. The community is our practice so we want to be part of the community. You will love receiving top-quality dental care by Dr. Brett Felton and a dental team that truly cares about you and you comfort. Schedule your visit today! Act Now! This is a limited time offer. How would you describe your dentist? We survey our patients regularly about their experience with us so we can be sure we are meeting or exceeding their expectations with respect to both the quality of dental care they receive and the way they are treated. When patients describe Felton Dental Care in the survey and to their friends, the most common words used are friendly, professional, and comfortable. Great news – again! 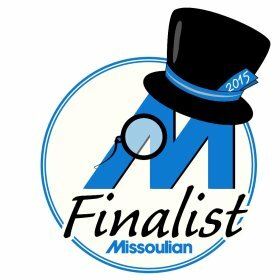 Dr. Felton and his team at Felton Dental Care have been voted as one of Missoula’s Best Dentists as reported in the Missoulian for the third year in a row. Read a thank you letter from Dr. Felton.